The South Wales Police department got its hands on the photo, which depicted the hand of a man holding ecstasy tablets in his palm, after searching the phone of a person arrested in the town of Bridgend. Police identified the fingerprints from the photograph, then matched it to the alleged dealer. In total, 11 convictions were made in association with the case. The approach is not quite as novel as the police would like to suggest. According to the report, they weren’t able to match the person’s fingerprint in the national databases. 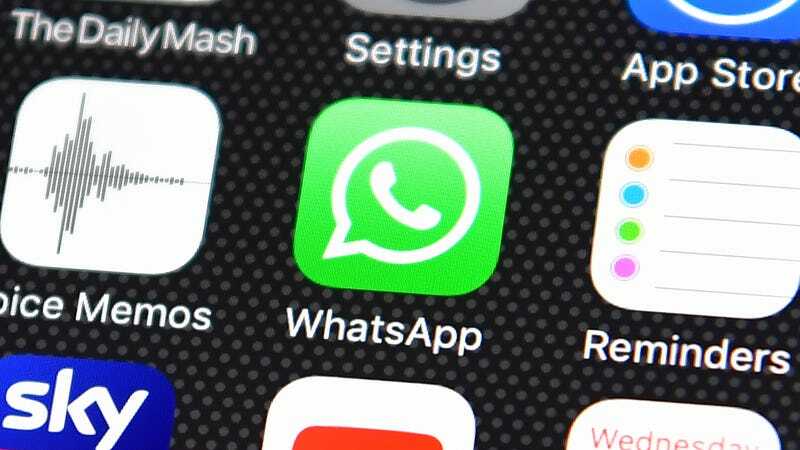 Instead, it was the wealth of corroborating evidence, including other information found within the WhatsApp conversation, that helped lead to the arrest. It’s also a little worrying that the photo of the fingerprint was used at all. Thomas admitted to the BBC that the photo only revealed the middle and bottom of the criminal’s fingerprint (the UK’s national database only stores the top of the fingerprint). He also said the “scale and quality of the photograph proved to be a challenge,” but the police considered it evidence enough to identify the dealer. Additional research has found that contextual bias, including information already known about a case, can influence fingerprint examiners and lead to a false conclusion. A 2011 study asked 169 fingerprint examiners to analyze dozens of fingerprints. It found that three percent of examiners committed false positive errors, and 85 percent returned a false negative over the course of the study. Instead of exercising caution, the South Wales police expressed interest in going the other direction and expediting the legal process with the help of technology. If a partial image of a fingerprint pulled from a low-resolution photo is all it takes to make an arrest, there will be some very full courtrooms in Wales.